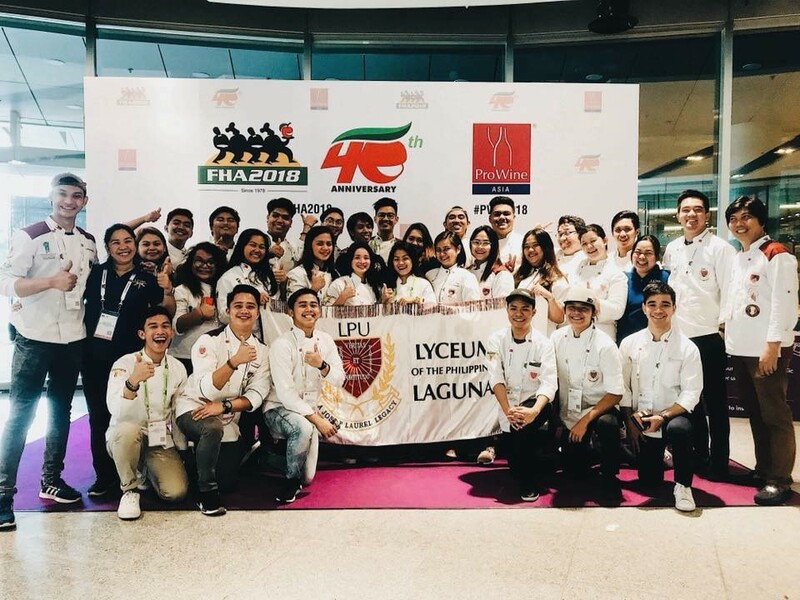 LPU was named as the Best Culinary Establishment in 2018 Food and Hotel Asia held last April 27-28, 2018, Singapore Expo and Suntec Singapore. Food and Hotel Asia is a mega tradeshow event that had grown itself through 40 years of innovation and creativity. It was also entitled as the most comprehensive premier international food and hospitality trade show in the international hospitality and culinary arena. This is also known as one of Asia’s most prestigious international culinary competition dedicated to the promotion of culinary excellence, the FHA has enjoyed strong support from the World Association of Chef Societies (WACS) as well as regional chef associations. The competition was headed by various well-known chefs and respected culinary practitioners in the culinary industry around the globe. FHA featured different competitions, , the FHA Culinary Challenge 2018 (FCC), which was participated by the LPU’s League of Warriors (LEWA) together with the LPU-Laguna Culinary Institute (CI). The team that was led by Chef Abram Peralta won the following awards: first Gold with Distinction for the Philippines – Wedding Cake by Alyzza Bundalian, Silver – Artistic Bread Showpiece by Judel Saludo, Silver – Travis Mangarin, Silver – Plated Desserts by Brenn carlus Rosales, Highest Bronze – Chocolate Showpiece by Alvin Nakassi, Bronze – Sweet High Tea Challenge by Chef Carlo Palacol & Shanne Roldan, Bronze – Asian Meal Display by Luis Miguel Gonzales, and Bronze – Dress the Cake by Maruth Miranda. It was also a historic moment for the team as it bagged the prestigious Over-All Culinary Championship Award “Individual Challenge – Best Culinary Establishment”. Considering that it is an international competition, the team takes pride as it improved and developed its craft with the joint effort and hard work of the team members. The team stands proud and loud with its purpose For God and Country (Pre Deo et Patria).